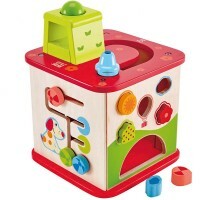 5 sides of developmental fun await your baby as they explore senses, learn colors and animals and play with this Hape activity box. 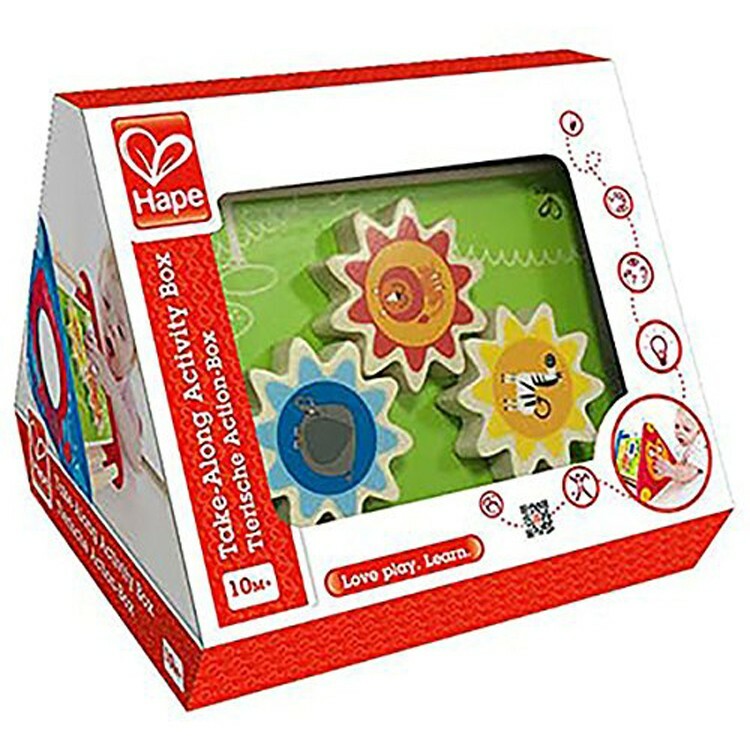 Take Along Baby Manipulative Activity Box is designed by the award winning educational toy manufacturer, Hape, to keep the little hands busy. 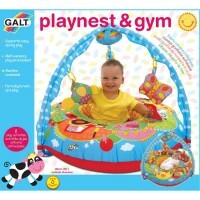 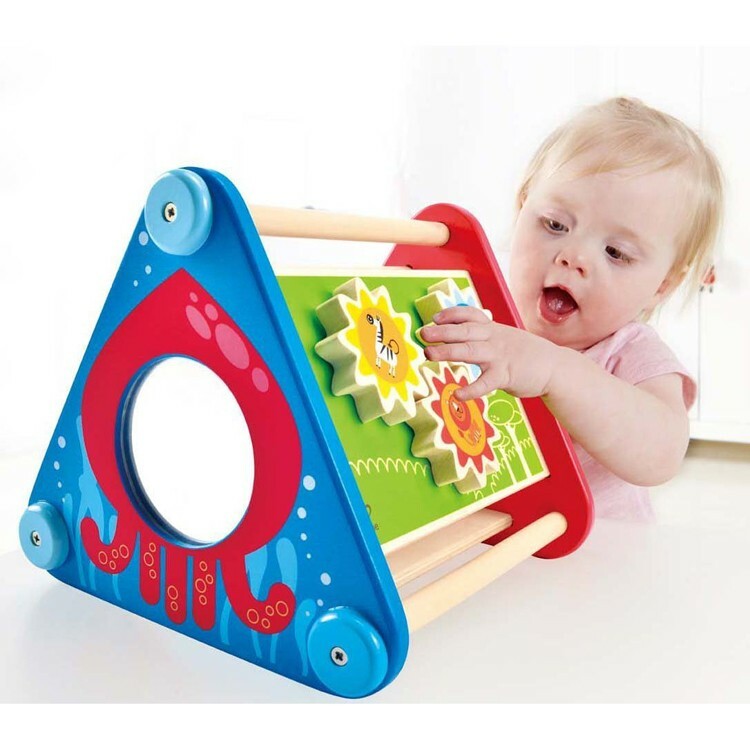 Vivid colors, friendly animal images, multiple manipulative activities, sturdy construction make this developmental toy a must-have for a home or toddler day-care play room. 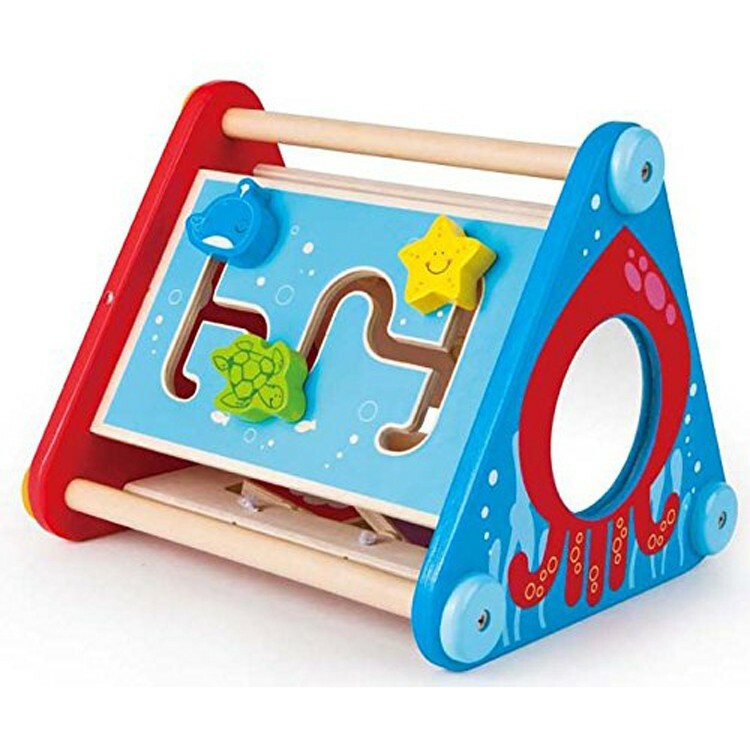 This manipulative activity toy for tots features 5 sides of fun: chunky moving gears, rolling balls, animal puzzle blocks, sea animals sliding maze, and kids-safe mirror to see your baby's smile. 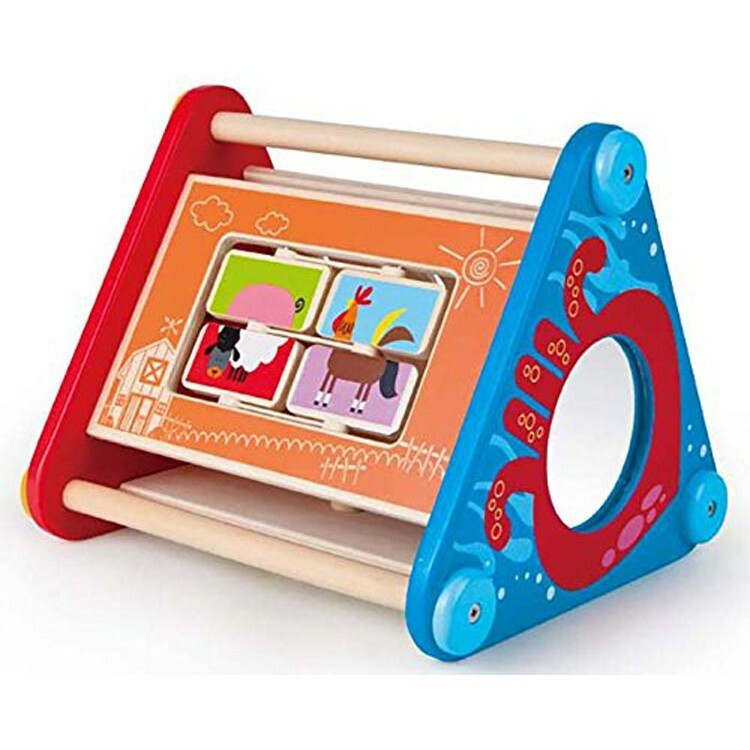 Infants will be introduced to kids' favorite farm, safari and sea animals, learn cause & effect concept, recognize colors and more. 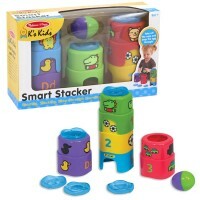 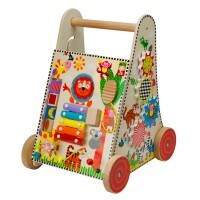 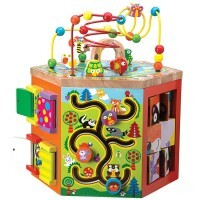 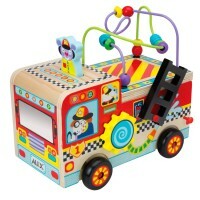 Take Along Baby Manipulative Activity Box includes carrying handles on each side of this play activity pyramid. 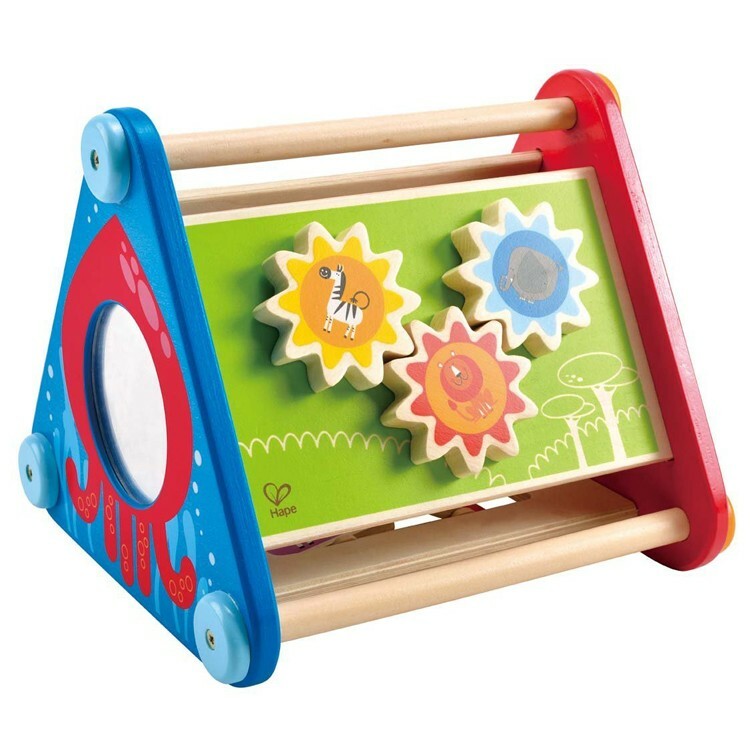 Get wise like the illustrated on one of the sides orange owl, and let your child develop senses and dexterity as they play with this super colorful baby activity toy. 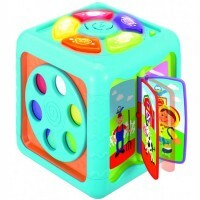 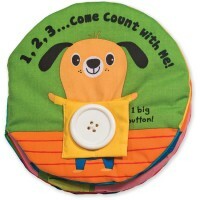 Dimensions of package 9.2" x 9.7" x 8.3"
Write your own review of Take Along Baby Manipulative Activity Box.